Last week I talked very abstractly about “The Cloud.” I summed up the cloud as Internet services that exist completely on the Internet such as email, file sharing and web streaming. Today I want to talk about one such service that has completely changed how I use my computer. It’s called Dropbox. Dropbox is a free application that you run on your computer. When it is installed, it creates a folder called a “Dropbox.” To your computer it resembles a regular folder; you can copy files to it, save and run documents and even some applications (like Firefox portable). When you copy a file to the Dropbox, it uploads a copy up to the cloud automatically, then copies that file to your home computer, cell phone, iPod, Macintosh computer, Linux computer, or any other device that has Internet and drop-box enabled. Most teachers have a network that they save their files on; here in Greenwood it’s our “U” drive. The only problem is that accessing this U drive outside of school is difficult to impossible and for most people accessing their networks from home means downloading the file from your browser and uploading it again when you are done. Or it means using a flash drive to back your files up and hope that you have the latest copy of your file. The dropbox means that wherever I am, I will have access to my stuff, and that it will be the same stuff, and that it will have been backed up and safe, even if I run my flash drive though the laundry. I can also ‘share’ folders in my dropbox with co-workers so that they can see my files and save to them no matter where they are; a shared drive accessible from anywhere. Think of a file that you use all the time, that you are updating and using all the time and really should be backed up in more than a few places. It belongs on your Dropbox. Dropbox is a free download and it gives you the first 2 gigs for free. For the 50 and 100 gig options you have to pay a monthly fee. Teachers tend to be luddites when it comes to new technologies. Certain technologies just work so well that we don’t give them up. For example, audio tape is dead to the outside world; I long ago abandoned my last Metallica cassette to the wayside. Even the successor to the cassette tape, the compact disc, is on its way out, replaced by digital audio downloads and the iPod. But go into any school and you will still see hundreds of the tapes and scores of the recorders, bought for speech classes, foreign language or read-along books and never abandoned because they just worked so well. The same goes for the hundreds of VHS tapes in any school, their populations dwarfing the few DVDs we have bought. And what is being shouted at every consumer electronics show? The end of the DVD is nigh! Up next: Blu-Ray, 3-D, and digital downloads! 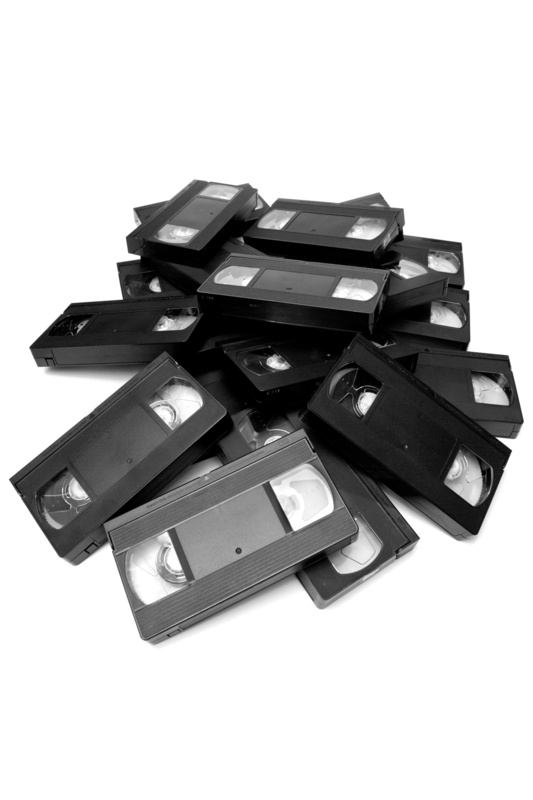 End the DVD? We have barely begun! And who stopped making VHS recorders?! How are my students supposed to watch our library’s videos? Sometimes, though, a product comes along that promises, at least in part, to bring back the spirit of something that worked so well in the past. I speak, in this case, of the Polaroid camera. For teachers it was great to have a way to capture a moment in a photograph and have that instant print instead of waiting up to a week to get down to the local photo-hut and get prints made. Digital cameras helped a little, but they created extra steps: having to upload, edit, and print the photos. Since most schools use massive, networked laser printers for cost reasons, printing nice color glossy photos is a hassle. 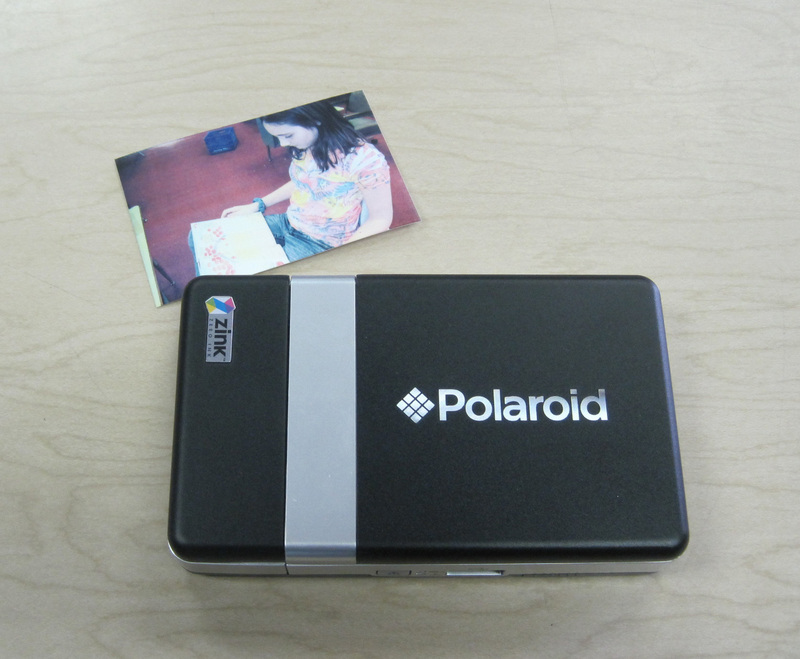 Polaroid claims to be back with Zink (zero-ink) printing technology. Using special paper and a special printer you get a water and fade resistant print in a few seconds with no ink. It seems like a good idea in practice, but I got my hands on a printer for Christmas and I am less than thrilled. The paper costs $10 for a pack of 30, making the price around $.30 a print. Not bad—except that the prints are 2×3 wallets. On the plus side, each print is sticker-backed, allowing them to be used for journals or name cards—great for teacher projects or records. The printer is fast, but the prints show it, with dim colors and lots of streaks, something that should have been fixed if they had spent a little longer with it. No computer connection: You cannot hook a computer directly to this printer; it can only be connected directly to a Pict-Bridge enabled camera (my classroom’s Kodak cameras would not work) or to some Bluetooth enabled cell-phones. Printing directly from the camera is handy; as is the Bluetooth feature, but when these are the only ways to print, it makes it a novelty more than a tool. Battery power: A tiny battery-powered printer is a great idea, except that my battery, new out of the box, only printed ten photos and then promptly stopped holding a charge despite being plugged in overnight. Bottom Line: Great idea, but poor execution. This would have made a great product, and I still think that there would be a huge market for this, if they could overcome some fundamental problems.